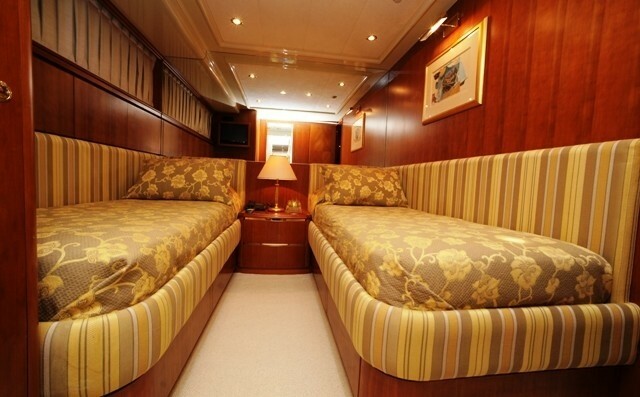 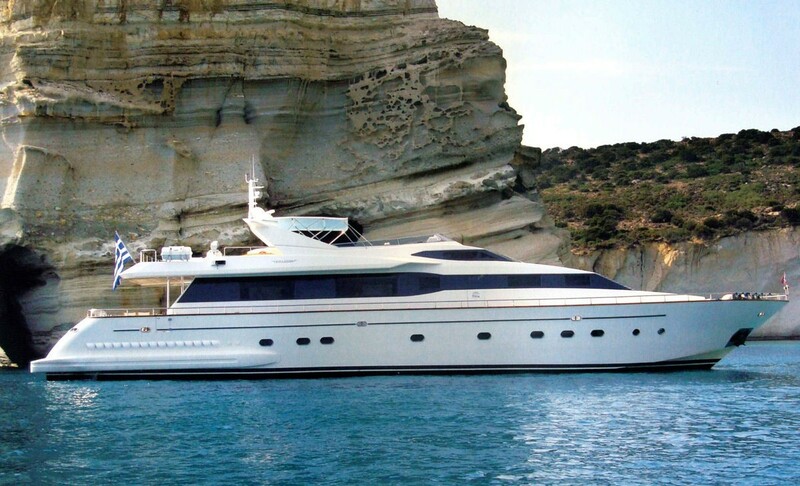 Motor charter yacht POUARO is a 27.45m (90') Falcon yacht built in 1998. 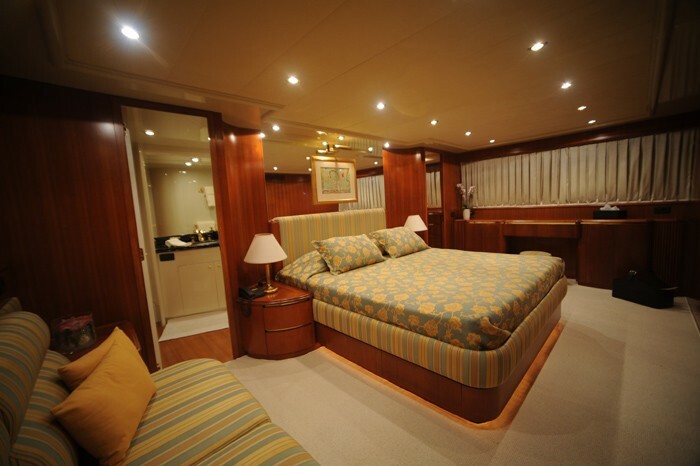 She has undergone an extensive refit in 2009 and is now looking better than ever. 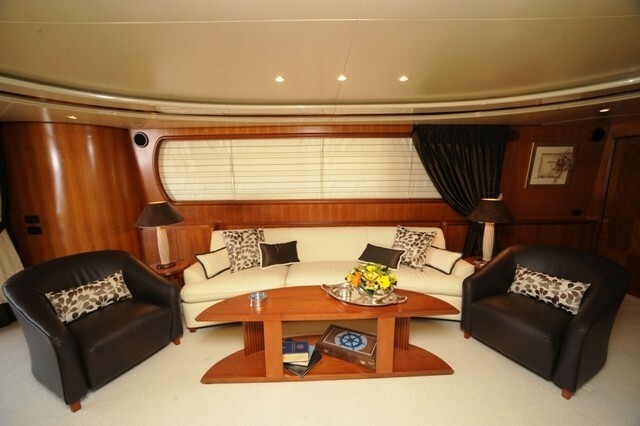 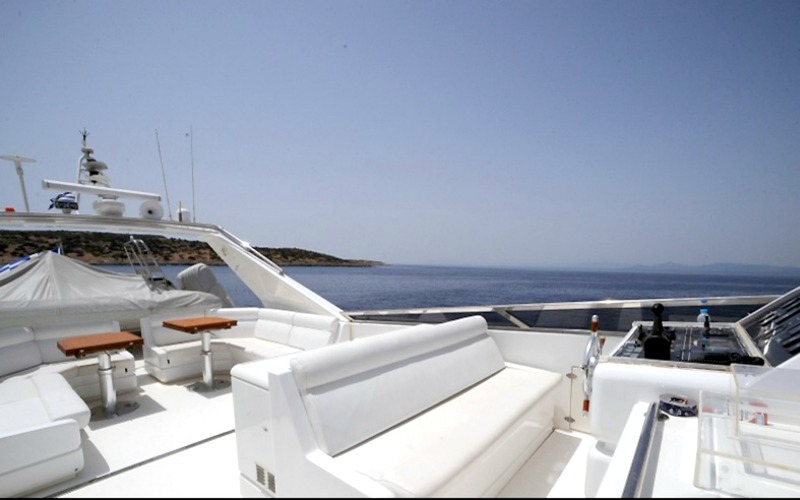 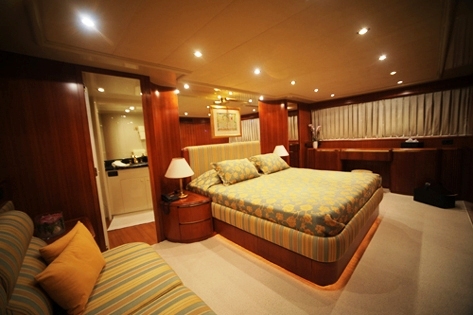 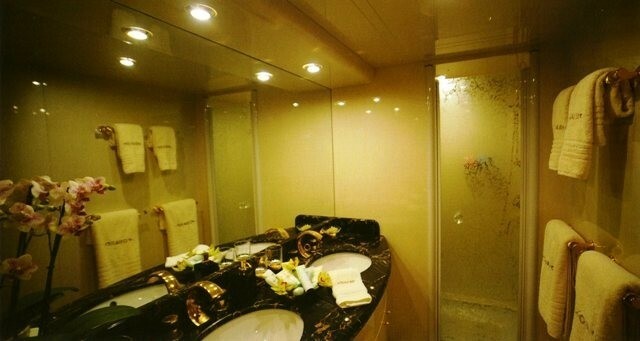 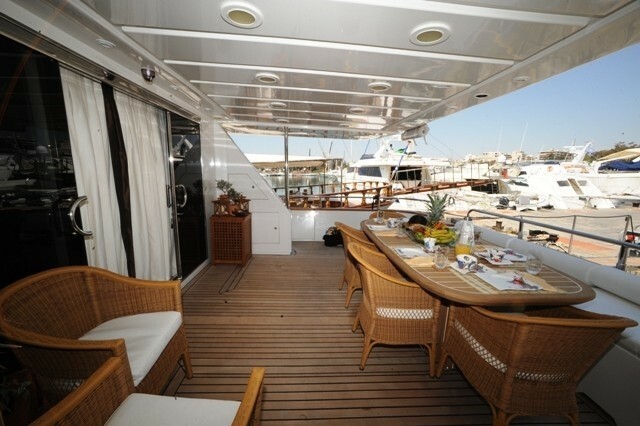 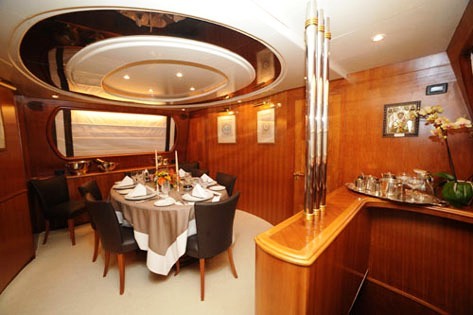 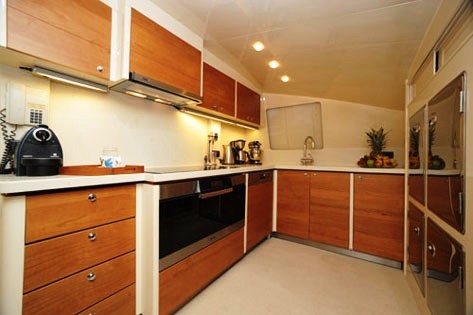 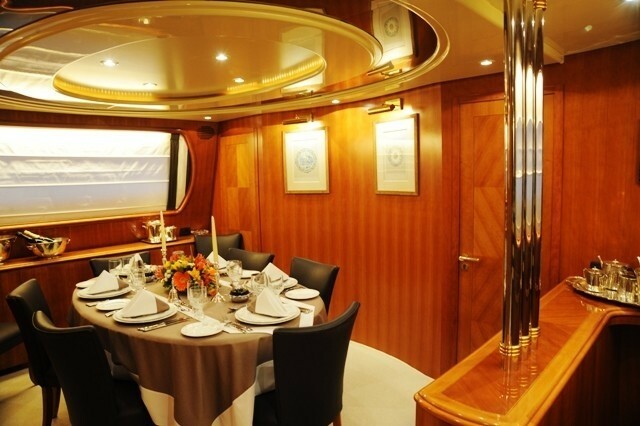 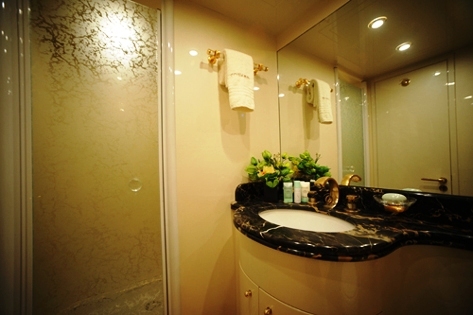 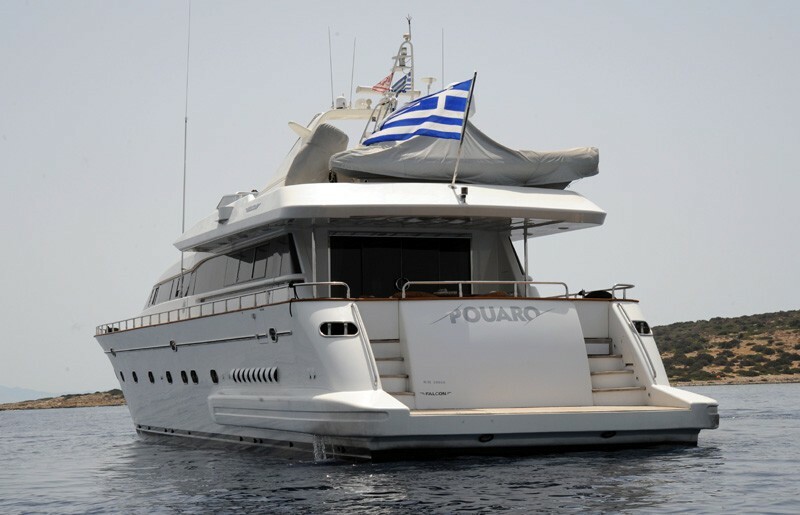 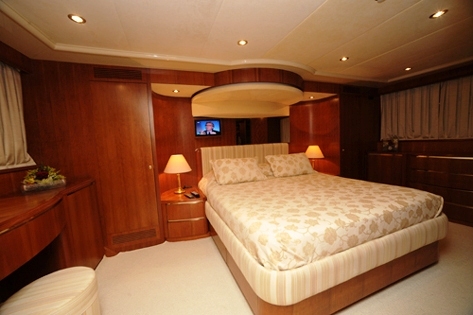 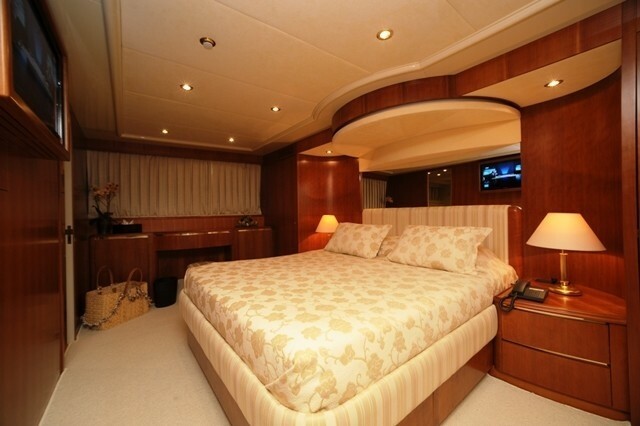 POUARO can accommodate up to 8 guests and is based in Greek waters year round. 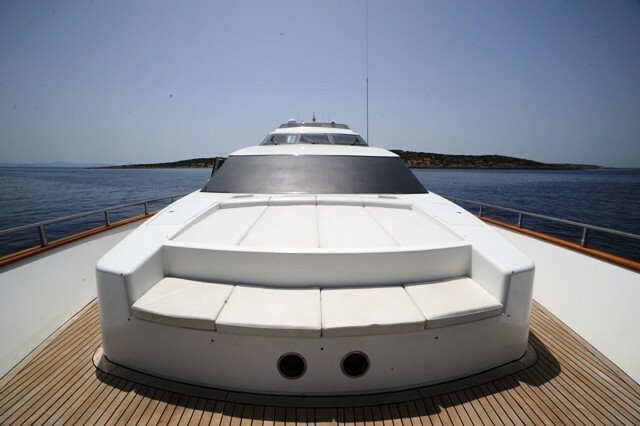 She has two MTU 1800 hp engines enabling her to cruise between 22-24knots. 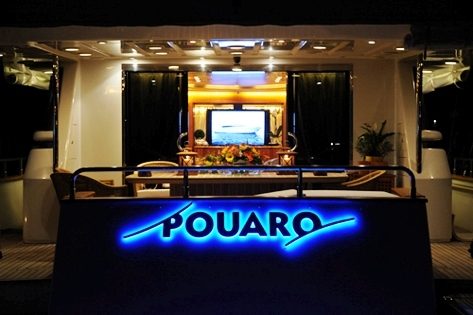 POUARO’s cosy art nouveau main salon is the perfect place to relax or socialize, with plenty of seating for all. 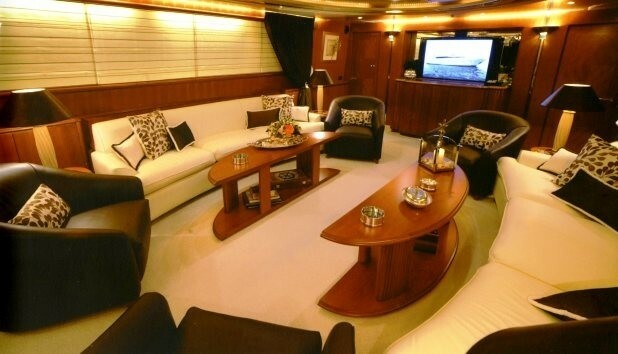 There are two cream coloured comfortable lounges opposite each other as well as 4 occasional black leather chairs surrounding two coffee tables. 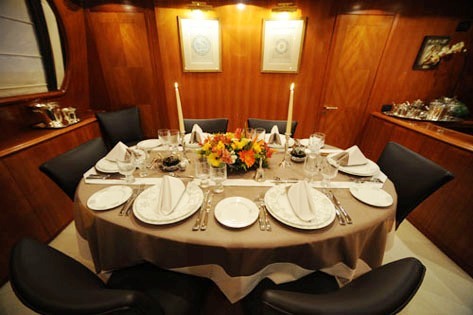 The dining area forward offers a comfortable, casual yet elegant dining atmosphere. 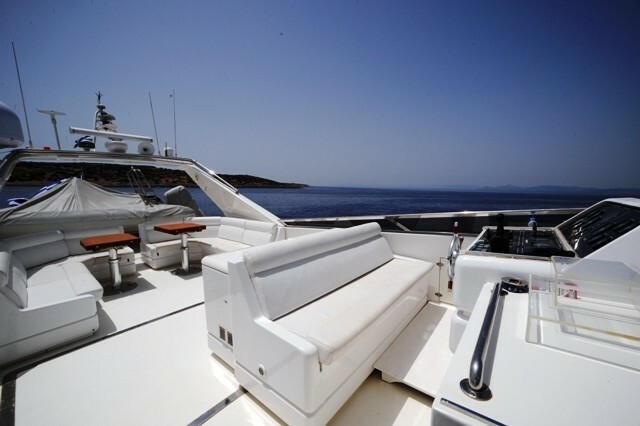 POUARO offers plenty of places to relax on deck both in and out of the sun as required. 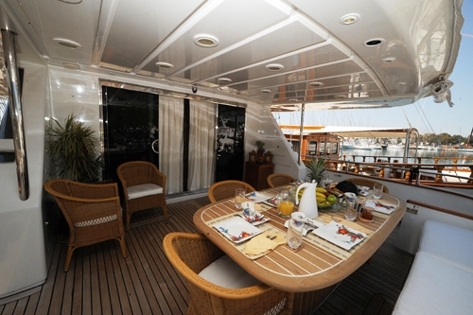 Enjoy al fresco dining on the aft deck, sip cocktails on the spacious sundeck or simply enjoy the ride as you cruise along on the cushioned foredeck. 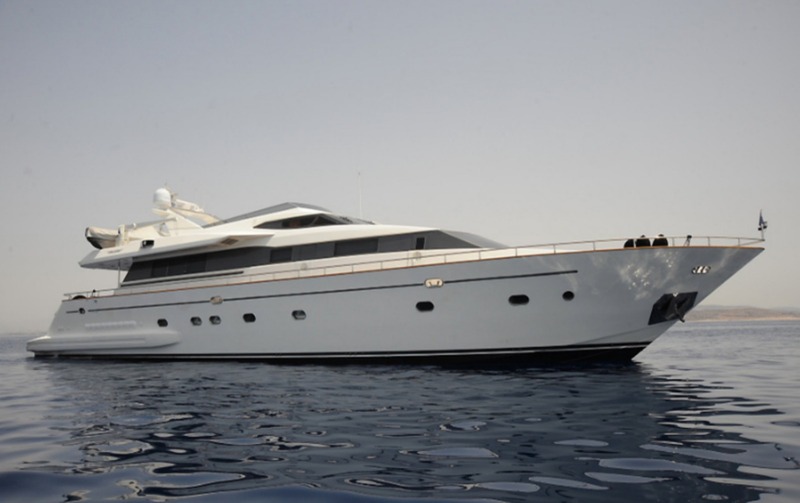 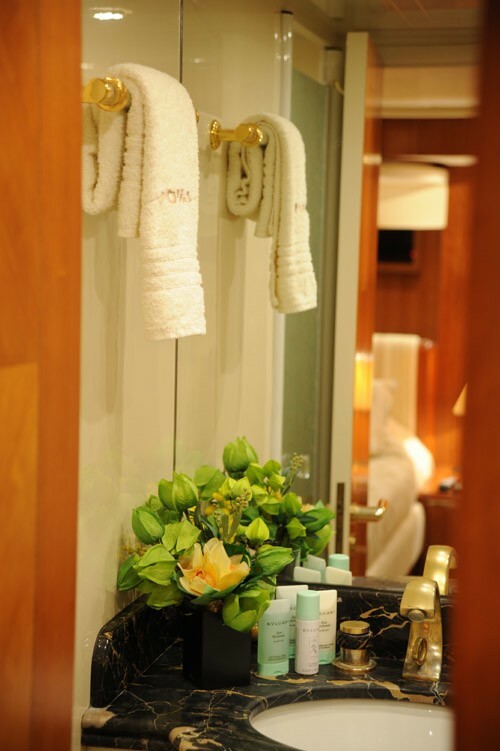 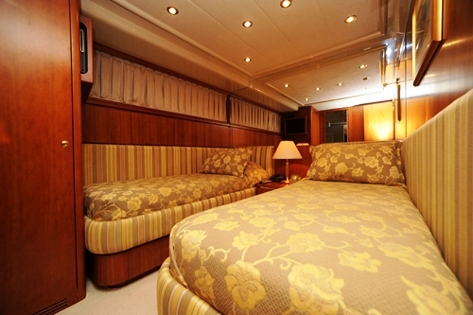 Motor charter yacht POUARO can accommodate up to 8 guests in 4 cabins including a Master cabin with double bed, a VIP cabin with double bed, one double guest cabin and one twin guest cabin all with ensuite facilities. 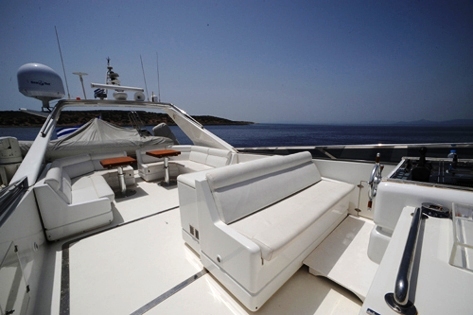 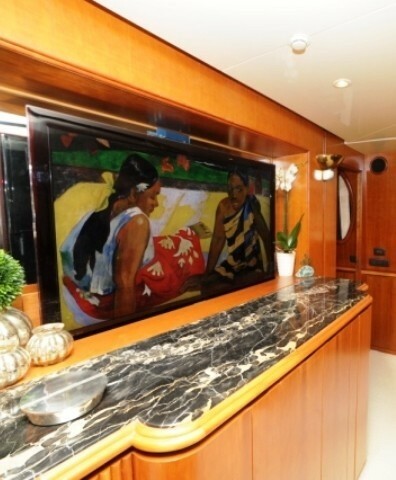 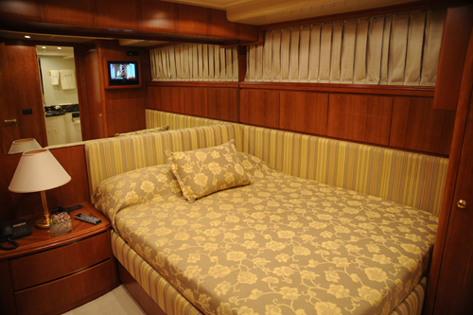 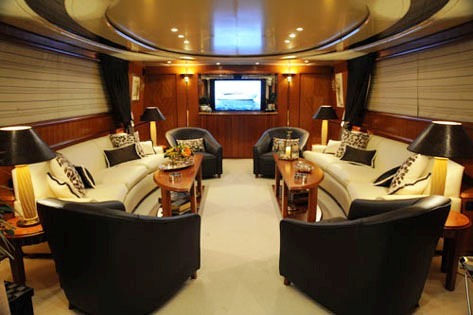 In 2009 M/Y POUARO received an Engine / generator service, a new tender, jet ski and toys, new entertainment equipment (including TVs, DVDs, Stereo systems), a new galley (both furniture and equipment), new carpets, covers for saloon sofas, new chairs, dining chairs, new art, porcelain and linen along with a new aft deck table, chairs, sofa and new sun mattresses. 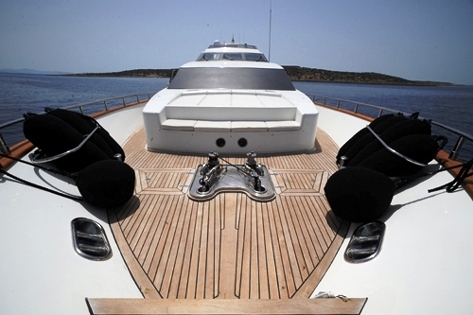 This fantastic yacht has a crew of 5 on board. 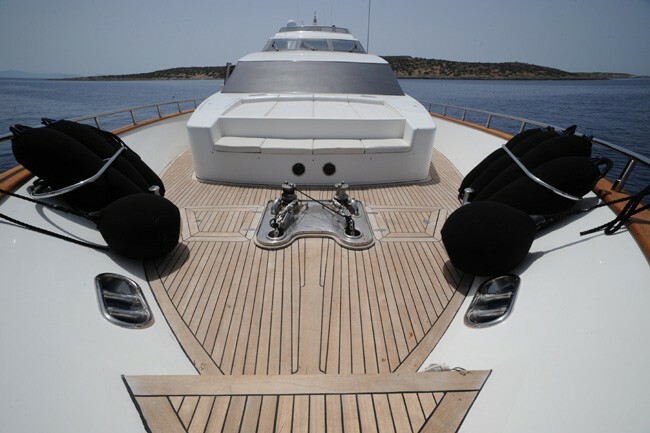 M/Y POUARO has the following extra amenities onboard: Her Tenders and Toy selection includes a Zodiac tender 4,30m with 50 hp Yamaha, a Jet ski Seadoo 3 seater 130hp, Water ski, Tube, Snorkelling equipment and Fishing equipment. 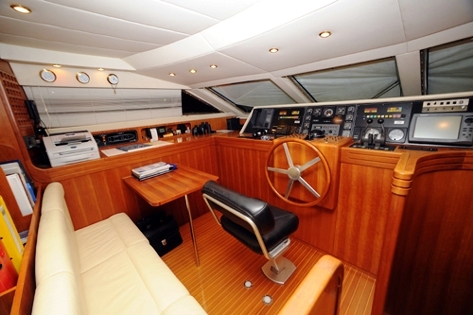 Communications onboard include a VHF Sailor RT2 , VHF Sailor DSC RM 2042, SatCom STU Atlas, SSB Radio Furuno, Fax , Navtex NAV 5, an Intercom and a Telephone in all cabins. 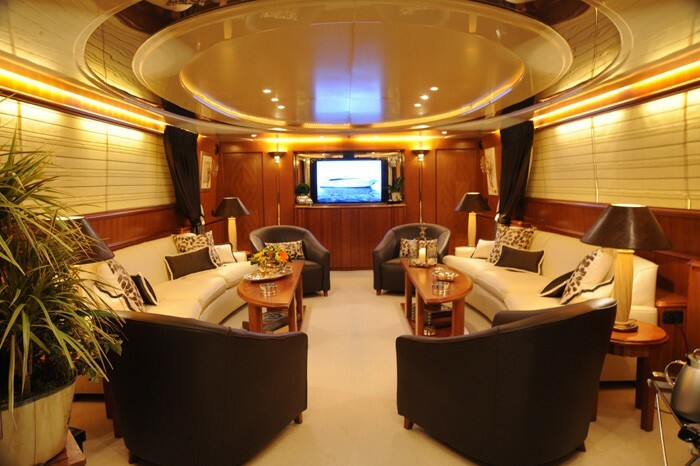 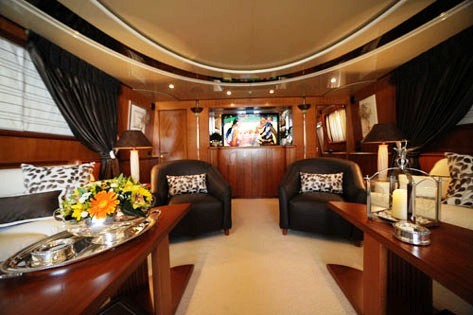 Audio Visual Equipment and Deck Facilities include a 52'' Samsung TV in saloon, two 27'' LCD TV in master and VIP cabin, TV/DVD Toshiba in double and twin cabin, Satellite TV, Blue Ray DVD in master cabin and a CD/DVD player in VIP cabin.